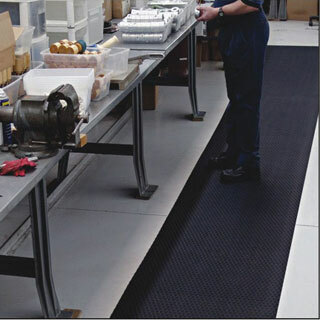 All our mats are designed for commercial applications. Choose from indoor logo mats, indoor/outdoor logo mats, rubber logo mats, entrance mats, interior mats, runner mats, kitchen mats or anti-fatigue mats. Carpet rugs with rubber backing and edging. For indoor use heavy traffic areas. Fabric inlaid custom mats. 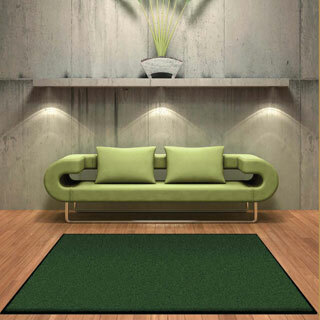 Great for indoor or outdoor and higher foot traffic areas. Rubber scrapers and anti-fatigue mats with your logo digitally printed. Indoor or outdoor. 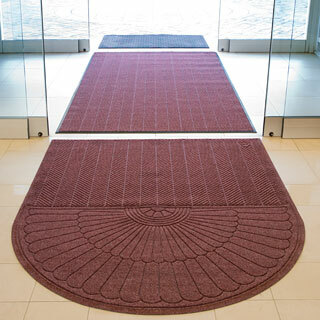 Tough fabric mats for use on heavy traffic entryways. Indoor or outdoors. Wiper interior rugs for moisture and dust control. Wide color range available. 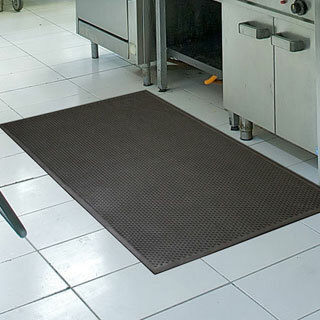 Mats runners and rolls for floor protection and decor. Indoor or outdoors. 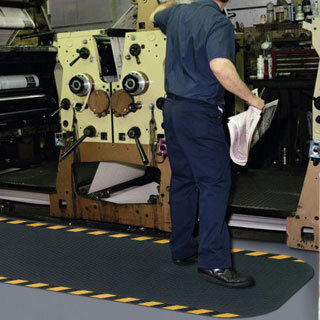 Anti-fatigue mats to reduce legs and knees stress and provide worker comfort. Ant-slip mats for safety and protection against slip and falling accidents. 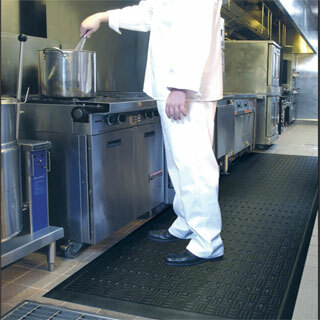 Drainable kitchen mats for wet area use to provide worker safety and comfort.